Fox News asked a federal court on Monday to dismiss a lawsuit brought against the network over a now-retracted story on the death of former Democratic National Committee staffer Seth Rich. In August, Rod Wheeler, a Fox News contributor and former DC homicide detective, sued 21st Century Fox, the Fox News Channel, Fox News reporter Malia Zimmerman, and Ed Butowsky, a wealthy businessman who had hired Wheeler to investigate the death of Rich. Wheeler alleged that Fox News had worked with the White House to concoct a May story about Rich's murder aimed at discrediting the US intelligence determination that Russia hacked the DNC and obtained a trove of emailed released by Wikileaks. As part of this effort, Wheeler alleged Fox News fabricated a pair of quotes it attributed to him. In its motion asking the US District Court in the Southern District of New York to dismiss the case, Fox News pointed to other on-the-record statements Wheeler made which "mirror" the quotes it attributed to him in its online story. Moreover, the network said Zimmerman, who reported the story, sent Wheeler drafts that contained the quotes in question. Douglas Wigdor, an attorney representing Wheeler, told CNN there is no evidence his client approved the quotes. Fox News, however, implied in its motion that Wheeler offered tacit approval. "Wheeler alleges that he did not read the drafts containing those quotes, but he admits that after receiving those drafts he provided Zimmerman with 'additional quotes to add to her story,'" the Fox News motion said. Additionally, Fox News argued that Wheeler brought his complaints to the "wrong forum" by filing a lawsuit in court. The network said Wheeler's contract as a contributor stipulated "any claims 'arising out of or related to' his agreement" be "brought before a mutually selected arbiter/mediator." The arbitration agreement would have kept details of the case private as it required proceedings "be held in strict confidence." "Fox's effort to compel this legal proceeding into a confidential arbitration process is an attempt at keeping people in the dark on what now is a matter of serious public concern," Wigdor said in a statement on Tuesday. He added, "We are confident that our client will ultimately be vindicated in a public court of law that will expose how Fox and the individually named defendants created fake news in an attempt at diverting attention away from the Russian hacking scandal." Separately, Butowsky, the wealthy businessman who was also sued, said in his own motion filed Monday that Wheeler's complaint was "overloaded with sensationalistic allegations" and "alarmingly vague as to what precisely is allegedly false or defamatory about the statements at issue." A CNN investigative report published in August found that Wheeler's own actions likely played a central role in the publication of the Fox News story now at the center of controversy. 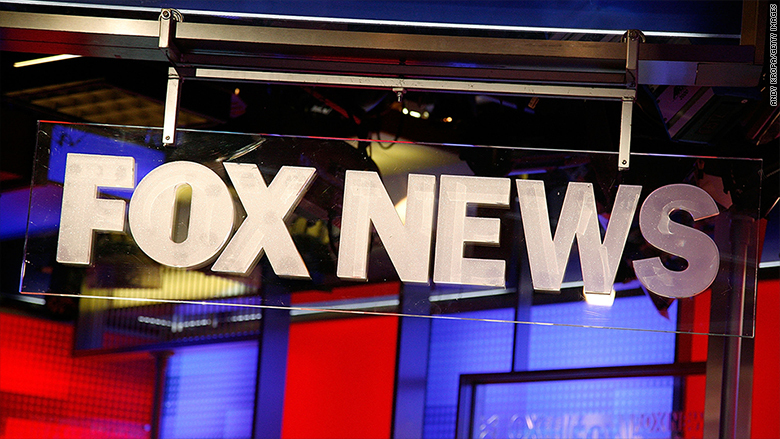 In the day leading up to the article's publication, Wheeler went rogue, sending Fox News' editorial process into chaos. As a result, the article was rushed to the site without undergoing the kind of editorial scrutiny it should have received.